Most of my recent projects can be seen my Data-Log or on my CV. Feel free to check them out or ask me more questions! Projects listed below are outdated and relatively old. Nevertheless you are more than welcome to take a look! This project started and finished on 09'. Mazetron, was an Autonomous Sumo Robot. 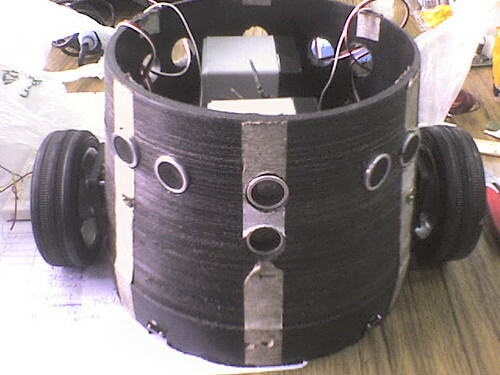 There were 4 members in the group: Luis Hernandez, was in charge of the electronic design, Oscar Castillo programmed the Microcontroller, and me and Williams Garcia designed, manufactured & assembled Mazetron (who was originally a HDPE tube). Mazetron participated in the annual Expo-Fim, a robotics competitions held in my university. Before discovering my passion for Computer Graphics, I inmersed myself in Computer Vision (10') . 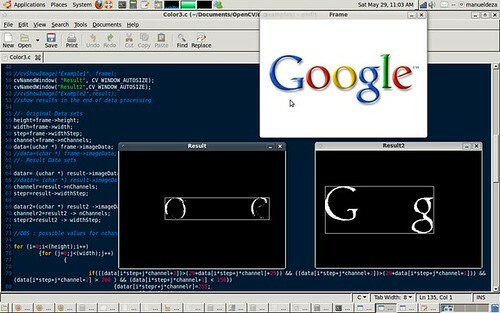 Here are some programs I made, using OpenCV, compiling with gcc & g++ 4.4 for Linux Ubuntu 9.10. 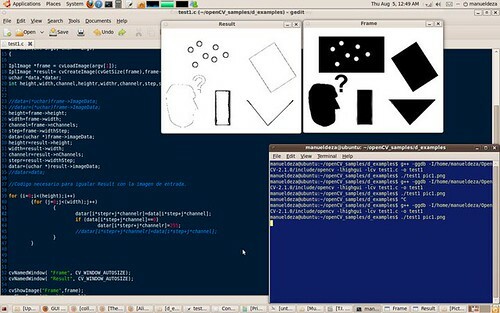 It is thanks to Computer Vision that I developed a special taste for programming! This program is a Edge Detector. Here I was getting started on Image Segmentation, as I had read some interesting papers on Markov Random Fields for Image Categorization and Segmentation. 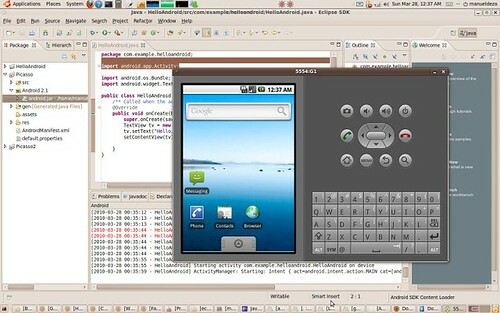 (2010) This is a simple "Hello Android" program run on the Emulator inside Eclipse using the Android SDK (Linux too). The purpose of learning Android was to implement an Augmented Reality device like Pranav Mistry's "Sixth Sense". I recently got my Motorola Milestone and I have a Cinemin Pico-projector. The project is held in pause for now, but I'll motivate my research group members to take it implement it once our Graphics Algorithm is done. Currently our programs/results aren't available for research purposes. We intend to publish them in the future! 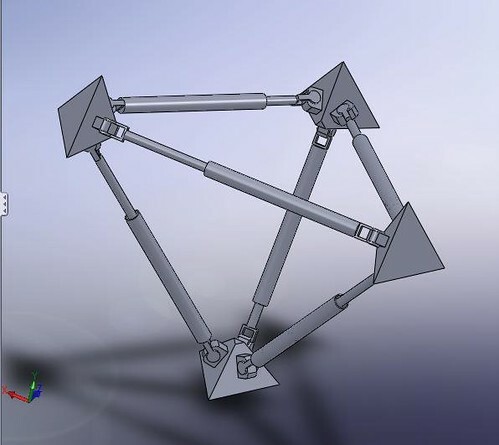 Here is a Solidworks assembly I did of the famous Tetwalker: a NASA robot that some friends and I used for our Robotics course.